Overlooking the gates of Old Mykonos Town entrance and its seaside called “Gialos” where most cafes, bars and restaurants are located, #MyCocoon hostel in Mykonos is the ideal option for guests who search for tasteful design accommodation in Mykonos, at value for money rates and the best location possible. 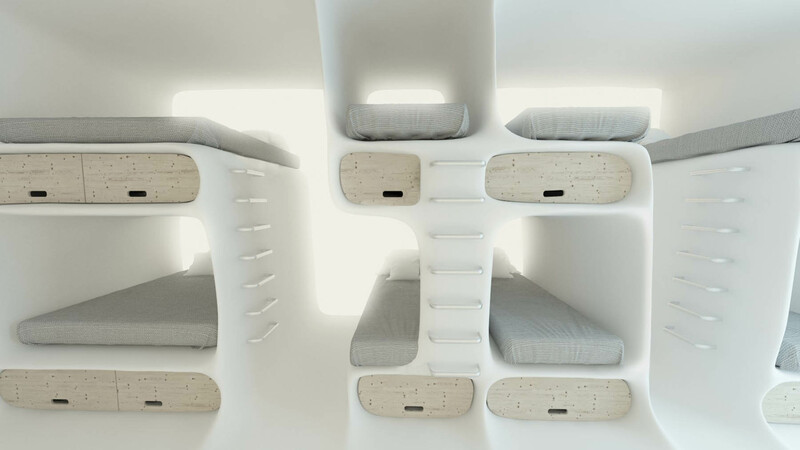 My Cocoon Design Hostel in Mykonos offers 3 different dorm types, in 5 dorms. -	The communal dorm type 1 is able to host up to 46 persons and is consisted by 10 double beds and 26 single beds, offering 5 bathrooms, 6 w/c and 10 washbasins. This is the lowest rate proposal and the ideal option for socializing and meeting new people. -	The communal dorm type 1 is able to host up to 10 persons and is consisted by 6 single beds and 2 double beds, offering 2 bathrooms. This is the medium rate proposal and the ideal option for socializing and meeting new people. 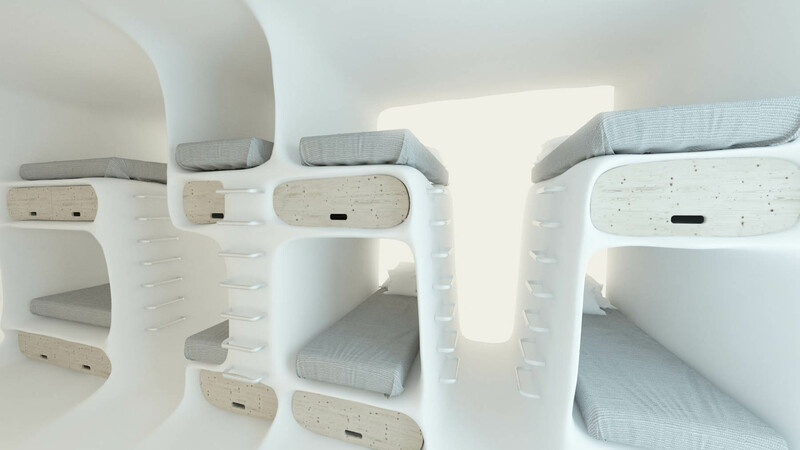 -	The highest budget dorms are consisted by 2 communal or private areas that offer 2 double beds and 2 single beds, able to accommodate up to 6 persons. This dorm has 1 private bathroom and 1 communal bathroom. In case of an emergency cancellation due to specific reasons, please apply by e-mail to us so as to check your case and response accordingly separately per individual issue. The cancellation is valid only with written confirmation from the client sent by fax or e-mail. A guarantee is mandatory to reserve the room by a credit card.